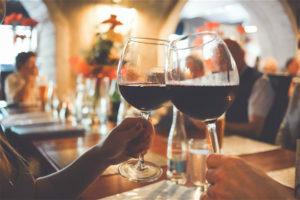 You may have noticed that South African Wines are beginning to become very popular in major retail outlets recently. Many consider South Africa to be one of the best producers of red wine in particular! Pinotage is South Africa’s Signature Variety, other key grape types are Cabernet Sauvignon, Merlot, Syrah, Cinsault and Pinotage for reds and Chenin Blanc, Chardonnay and Sauvignon Blanc for dry still whites. There has been a shift in popular production from bold, boastful and overripe reds to a more refined and elegant style that suits a wider variety of foods. Did you know that Over 90 per cent of the country’s wine comes from the Western Cape? Thanks to the hot summers and winter rain, it makes for ideal conditions for growing vine. The beautiful mountain range gives a beautiful view, and the vast range of soil types, such as limestone, shale and granite, winemakers seem spoilt for choice when picking the right land. This top seller exudes a rich coffee aroma, while the fruity palate contains just a hint of cinnamon and chocolate. This wine is perfect for the novice and connoisseur alike. 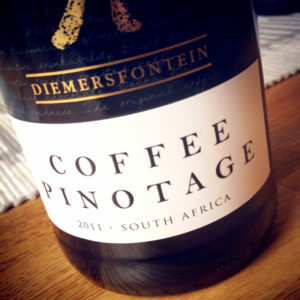 Being a versatile wine, the Diemersfontein Coffee Pinotage can be paired with anything from spicy food to game meats, as well as also chocolate desserts. This wine is filled with notes of strawberries, cherries, and hints of mocha. While tasting of juicy ripe fruit and spicy vanilla flavours. This compilation wouldn’t be complete without Meerlust Merlot. It’s intense on the nose, with notes of mulberry and damson plum, while the taste is of rich merlot fruit. The Meerlust Merlot is best partnered with a rich beef or roast goose dish. Indulgence in a glass! Boschendal Chenin Blanc is a fruity wine with a honey and mango aroma. Although the core of the flavour is fruity, there are also hints of honey and nuts. The Boschendal Chenin Blanc goes very well with a light summer lunch, lightly curried mussels or Asian dishes.